IT'S MORE THAN A HEARING AID. IT'S EMBRACING LIFE, WITH STYLISH HIGH-TECH HEARING. Attract new and existing clients with the unique, beautifully designed Styletto. The world’s first SLIM-RIC stylish device combines style with high-tech hearing powered by Signia Nx. Styletto is now available in all performance levels. Attract new and existing patients with the unique, beautifully designed Styletto. 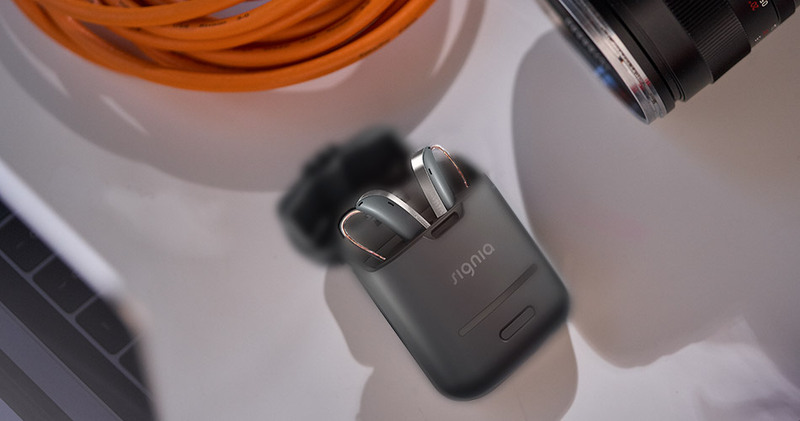 Our world’s first SLIM-RIC hearing aid combines style with convenient on-the-go rechargeability and high-tech hearing powered by the Signia Nx platform. It is available in all performance levels. In addition to its sleek design, clean surfaces, and brushed metal look, Styletto is available in three contemporary color combinations: Dark Granite / Silver, Cosmic Blue / Rose Gold, and Snow White / Rose Gold. Whether on a conference call or presenting to colleagues, patients can be confident that Styletto will support their active lifestyle. Our consumer study also showed that given the choice between two practices — one offering Styletto and one not — 84 percent of people sampled chose the practice that included Styletto as an option. 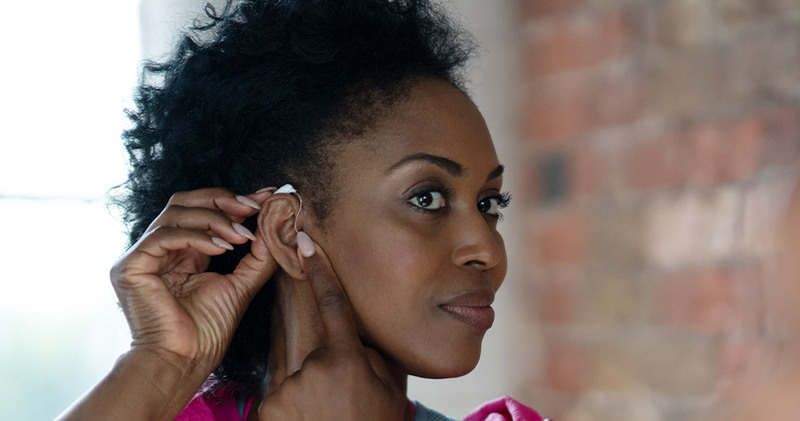 Additionally, when people with mild-to-moderate hearing loss who didn’t yet have hearing aids were offered a choice between purchasing a standard hearing aid model or nothing at all, 24 percent chose not to get a hearing aid. However, when offer a choice between standard hearing aid models, Styletto, or nothing at all, nine out of ten chose a hearing aid, and 65 percent specifically chose Styletto. The takeaway? Including our eye-catching Styletto in your portfolio will attract more potential wearers to your practice instead of your competitors’. each and every day. Learn how to care for Signia miniReceivers. Regular maintenance and proper care of the receiver wax guard and dome save time and ensure properly working hearing aids. Visit mySignia: place orders for products and accessories, find training, marketing materials and more. How can Styletto provide a more natural hearing experience than the competitors? Many hearing aid users do not like the sound of their own voice, as it can sound loud and unnatural. Our revolutionary Own Voice Processing (OVP™) function provides you with a natural sounding own voice combined with all other sounds for the most pleasant, natural listening experience. Which rechargeable technology does Styletto use and what advantages does it offer? Styletto is built upon lithium-ion rechargeable technology, which is used widely in many big industries like consumer electronics, automotive, and more. What is the daily runtime of Styletto? How long does the battery last? Fully charged Styletto hearing aids provide up to 19 hours of daily runtime. The runtime of all lithium-ion rechargeable batteries reduces over time. Under normal operating conditions, the battery of Styletto will retain at least 80 percent of its initial capacity after two years of use (which corresponds to an up to 16 hours daily runtime). Please note that battery performance will vary depending on individual usage patterns and environmental conditions. Full charge takes approximately three hours. With “charging-on-the-go” provided by our ultra-slim portable charging case, charging is possible anywhere, free from plugs or cables. Only 30 minutes of charging allows wearers up to five hours of additional usage. The Styletto charging case allows three full charges of hearing aids “on-the-go.” This delivers an impressive four days of user autonomy. Styletto has no onboard controls. It is remotely controllable via the touchControl App or miniPocket accessory. Attract new and upgrade existing patients with the unique, beautifully designed Styletto. Have a Signia rep contact you with more details and a special offer.